We conclude our short series on evangelism this week with Pastor Edgardo Rosa joining us to preach from the prophet Ezekiel. Pastor Edgardo serves as Assistant Pastor at First Baptist Church of Sudbury, Mass. We'll hear through this Old Testament prophet an exhortation for each of us to be faithful watchmen for the Lord. We continue our "Share" series as we persevere in prayer for our “Take 5” friends. This week, we look together at a familiar passage--The Woman at the Well--from a slightly different perspective. In John 4 we'll see the ingredients for faithful evangelism from an unlikely source and be inspired by the explosive power of the gospel in both our lives and those with whom we share our faith. 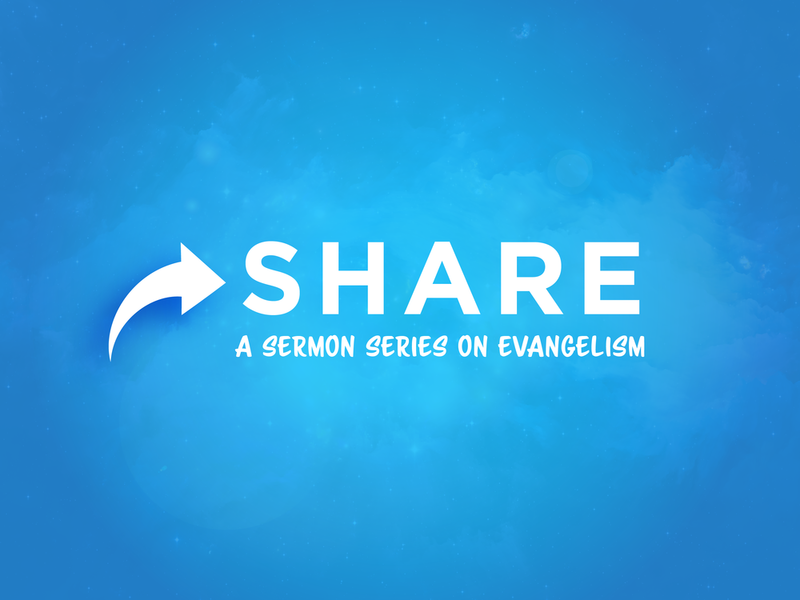 This is the first installment of a short sermon series on evangelism called "Share." We had the privilege to welcome a guest preacher! Pastor Andrew Belli serves as Associate Pastor at Redeemer Fellowship Church in Watertown, MA. Pastor Andrew shows us from Acts 4 how ordinary people like us can be extra-ordinary witnesses for Christ. What is heaven like? It's a question that almost everyone has at least considered before, at least if sales of "heaven tourism" books over the last decade are any indication. But our passage this Sunday offers us something much more reliable than these dubious accounts of near-death experiences. In the final chapter of the final book of the Bible, the Apostle John shares with us his final vision of Christ. And it's here that we get a glimpse of what heaven will be like for those who trust in Him. We come to one of the most confusing and controversial chapters in all of Scripture. And yet amid all the intellectual debate, this passage is incredibly practical. It overviews the history of the time from Christ's ministry to the end of the world, and then it provides us with one of the clearest pictures of the final judgment in Scripture. As Christ opens God's book of history, we see that our eternal state depends on another open book of life. In most jobs you receive a "job description": a formal list of tasks and responsibilities for your position. This Sunday's passage shows the church our cosmic job description in light of eternity. It's Revelation's "Great Commission" passage with a weighty twist. In light of the two contrasting pictures of eternity in Revelation 14, we'll see clearly our purpose, our job description, for today. It's so easy to feel overwhelmed with all the sin and suffering in the world around us. Whether in the news or in our social media feeds or even in our own experiences, sometimes the world just seems like chaos. For those of us looking for hope and purpose and goodness in the chaos of life, Revelation 4-5 paints us a picture we have to see. This week we explore John's second vision of Jesus: a glorious glimpse of what's really going on in our world and our own lives. They had it all--except for the most important thing: "You have forsaken the love you had at first." This Sunday we examine the Lord Jesus Christ's prophetic message to the church at Ephesus. As we saw last week, Revelation isn't just a vision of the future. This book is a letter written to particular 1st Century churches in order to encourage them not to give up but to look up, to persevere by getting a vision of Christ. Still, in Christ's specific message for the Ephesian church is also a message for our church. How can we cure the common cold of the heart? 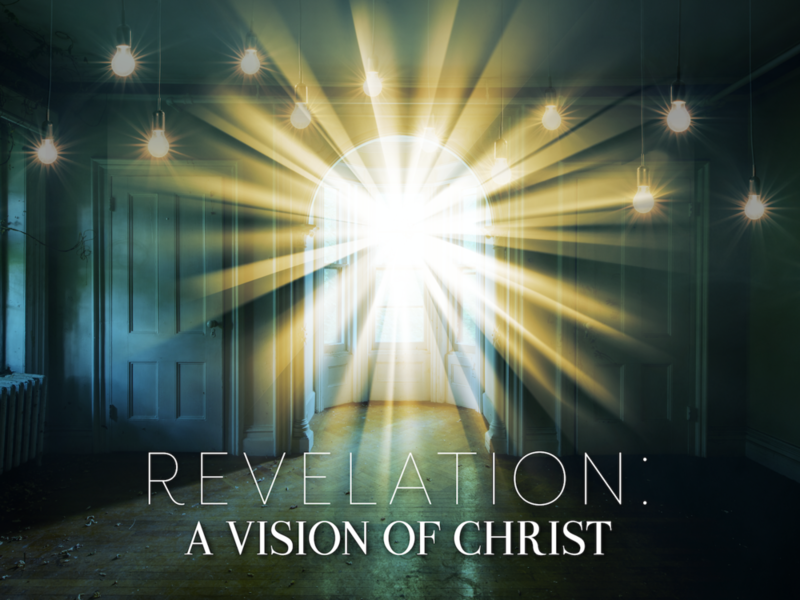 This Sunday we begin a six-week journey through the book of Revelation. Above all of the controversy and complicated explanations, this bizarre book has a clear message of encouragement for the church. This week, we'll explore what Revelation is, why John wrote it, and how it applies to us today. Do you ever doubt your own salvation? Where do you find the confidence to say that you're truly a Christian? This week we'll explore one of the foundational, and revolutionary, beliefs of Protestant Evangelicals: Christians can have assurance of our salvation. Being evangelical doesn't mean we vote Republican, or deny evolution, or believe that America is a special Christian nation. It means none of these things, contrary to popular culture. Instead, one of the foundational tenets of evangelicalism is an emphasis on the Bible as God's word and guide for our churches and lives. This Sunday we're going to explore why we believe in the authority and power of God's word and why it is crucial to our church and lives as Christians. "What must I do to be saved?" This is a question found on the lips of the Philippian prison guard in Acts 16:30, but it has been on people's lips from the beginning--and even still today. This Sunday we're going to explore what Christianity believes about salvation and this doctrine's practical implications in our lives and our church. Democrats and Republicans. Socialists and Capitalists. Americans and Armenians. Barack Obama and Donald Trump. How do we wrap our heads around Christianity when all of these people (or at least some from these groups) claim to be Christians? As we begin to explore Ruggles' old and proposed new statement of faith, we're going to explore what it means--at the foundation--to be a Christian. We begin 2019 with a sermon series about the foundations of our faith, as we hope to adopt an updated Statement of Faith as a church. What we believe is essential to who we are as Christians--we're not called "believers" for nothing! And ultimately, as we look forward to a new year, what we believe will impact how we live in 2019 and beyond. One of the things our Creator has instilled in each of us is a longing for justice-- the desire to be treated fairly, and to know that systems are in place to protect us. But if we look around, we see that there is injustice everywhere. People are abusing their positions of power and authority, cheating and stealing from each other, and getting away with it. This Sunday we'll look not only at Isaiah 9, but all over the Bible to see what God has to say about justice, and what he has promised to us with the coming of the Messiah Jesus Christ. With the news this week about potential troop withdrawals from Syria and Afghanistan, it was another reminder of the perpetual state of conflict and war around the globe. Praying for "peace on earth" has become cliche. 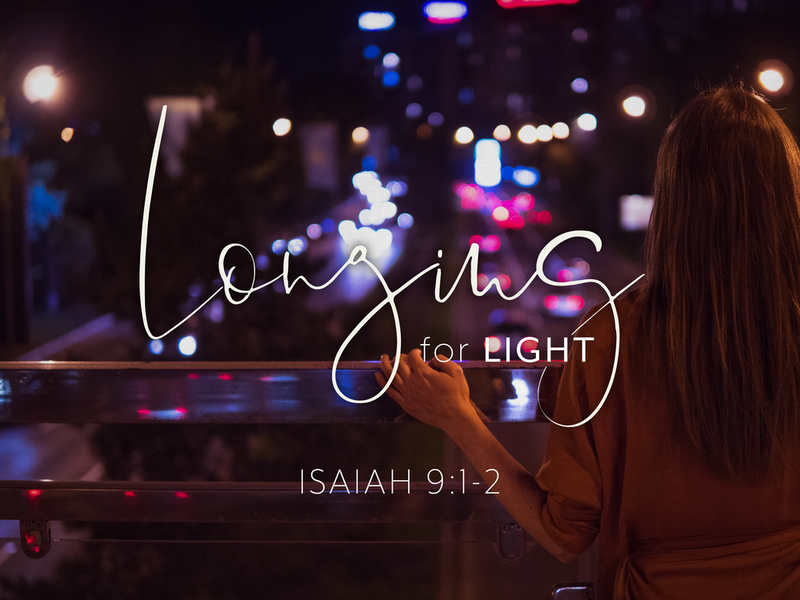 As we reach the climactic conclusion of this prophecy from Isaiah, we'll be reminded of the ultimate hope and source of peace in our world, and in our hearts. During the singing of the Star Spangled Banner, the cheers always begin at the climactic ending: “O’er the land of the freeee...” Freedom is at the very heart of Americans and many immigrants that come to the United States for study and work. But in the midst of all this “freedom,” do you really feel free? Are we truly free? We’ll explore in Sunday’s scripture text how Jesus comes to bring true freedom to our lives. Can my life have real and lasting meaning? Can I be loved unconditionally? Can I know the Almighty God who created me? Isaiah 9 answers all of those questions with an emphatic "Yes!" and declares that when the Messiah (Jesus) comes, He will fulfill our longing for joy. Advent is a season when the church remembers Christ’s first coming as we long for His second coming. One way to recognize that the Christmas season is upon us is the lights—lights on homes, in windows, on Christmas trees, and more. This has become part of our culture each year, but there is deeper meaning to all of these lights. Christmas is truly all about a dark world that is longing for Light.